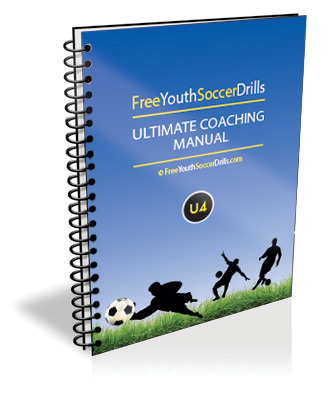 This age group was my speciality and I know you'll love my free soccer drills on this page! When children hit the U6 - U7 age bracket they start to understand soccer that little bit more. This makes it easier for you as a coach. It is important to remember that each young player is an individual and will develop in different ways from the next. This is why it is very important to coach the player as an individual. Expect them to be selfish and don't expect lots of passes. There are many different characteristics of players under 7 years old. They are often excitable with lots of energy. This is great and you should use this to your advantage by playing fun, soccer related games. 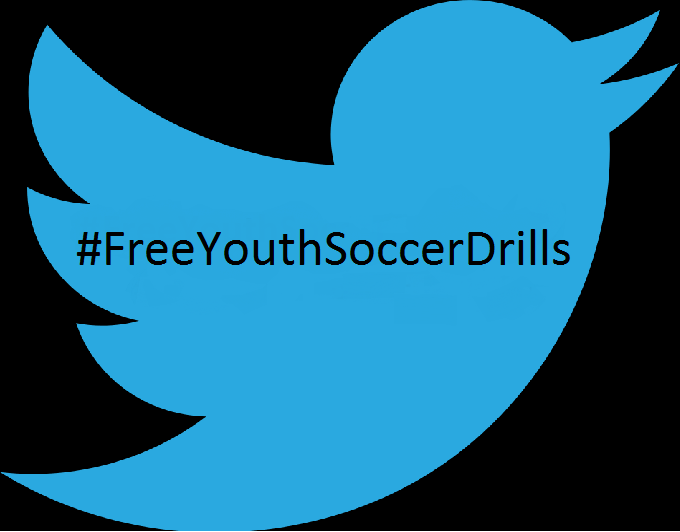 Take a look at the free soccer drills for ideas! Players of this age are often very sensitive and need constant encouragement. Remember, to ask lots of simple questions and praise them when they have answered correctly. The majority of my soccer drills for the U6 - U7 players are based on dribbling. I soon realised that many coaches wanted to focus on how to pass the ball instead of encouraging players to dribble with the ball. You will notice that many of my drills have players with a ball 'each' for long periods of time. This way the young players don't get bored easily and will develop through having more touches on the ball. DO NOT try to work on formations or coach your players how to work as a team. It will not happen! If you want a successful team, you need confident, talented players. 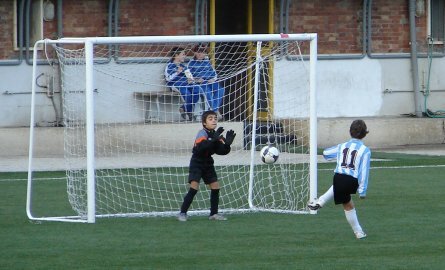 This can be achieved by coaching drills focusing on dribbling and simple skill work.